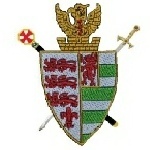 As Provincial Prior, I’m very pleased to welcome you to our website, and hope you find it helpful and informative. The full title of the Order is The United Religious, Military and Masonic Orders of the Temple and of St John of Jerusalem, Palestine, Rhodes and Malta in England and Wales and Provinces Overseas, but most Masons know it simply as ‘KT’. Candidates for membership must already be Craft and Royal Arch Masons, and also profess the Christian Faith. 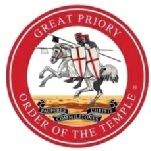 The Order is administered from Mark Masons’ Hall in London by the Great Priory, and there are thirty Provinces in England and Wales. The Province of Dorset and Wiltshire is the oldest in the Order, having been established by the Duke of Sussex, then Grand Master, in 1836. We’re rightly proud of our history and our traditions, but we’re quite clear that the Masonic Order of Knights Templar has no direct links with the medieval Order – although our regalia is based on the clothing worn by them, and our ceremonies recall the history and activities of that Order. Nor does it have any direct links with the various other modern Orders which keep alive the traditions and practices of the medieval Knights. As in all Masonic Orders, the ceremonial in the Orders of the Temple and of Malta is not only beautiful, but has profound symbolic meaning. Any qualified Mason would find it a most enjoyable and rewarding further dimension of his Masonic life.